If you've ever dreamed of owning your own business, you're probably not alone. Working for yourself doing something you love can be great but starting a business isn't always cheap. On the flip side, if you're willing to do online or home-based work, you can most-likely launch a profitable business with just a small investment. 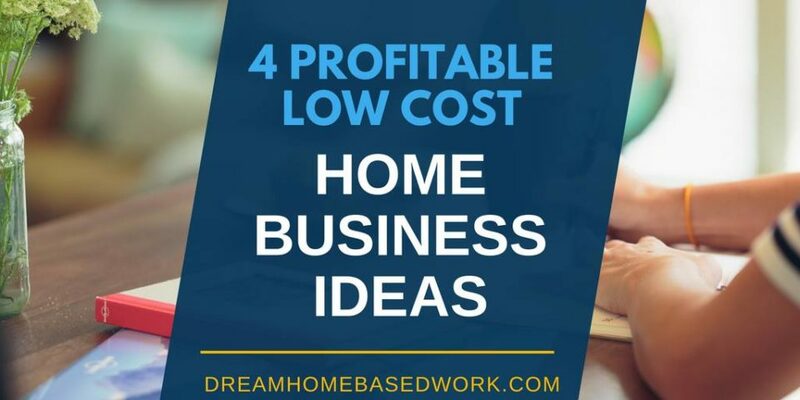 Here are 4 of the best low-cost home business ideas. 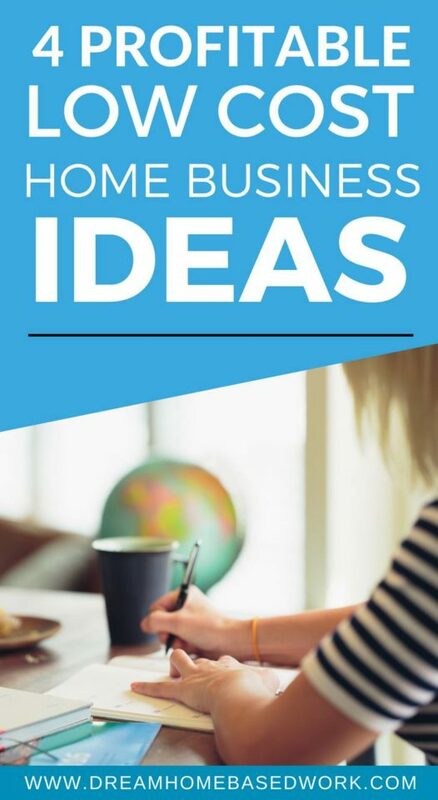 Blogging is probably one of my favorite low-cost home business ideas because it's super flexible. All you need is a computer, a domain name, and web hosting which can run you less than $200 per year. You can write about topics that interest you and monetize your blog in a number of ways via display ads, affiliate marketing, sponsorships, and selling your own products. However, keep in mind that it does take time to start earning money from your blog and you must approach it like a business and not just a hobby if you really want to be successful. Have a helpful service you can offer others? You might want to try freelance writing or editing. This is another business you can run flexibly on your own time. First, pick a niche to specialize in and gather some writing samples or create an online portfolio. Then, start pitching people, applying on job boards, and asking your network for leads. Choose which type of writing you'd like to do whether it's blog posts and articles or interview features, technical writing, or copywriting. You can sign up for training or coaching, but don't really need a ton of experience to get started. If you have a knack for editing and catching grammar errors, you can also launch a virtual editing business and follow the same steps. Virtual assistants (VAs) perform a wide variety of tasks like answering emails, scheduling blog posts, managing social media, scheduling meetings, paying invoices, and more. You can get hired to work from home as a VA or you can launch your own business and set your own rates. In the beginning, I wouldn't charge any less than $15 to work as a VA. As your experience develops, you can charge as much as $25 – $40+ depending on the task. Pinterest VAs tend to earn around $30 – $50 per hour just by searching on Pinterest and scheduling pins for clients. If you have really good organizational skills and enjoy helping others, this business doesn't require much money upfront at all. You just need a computer, internet, web hosting if you want to launch your own professional website and any extra tools or resources that might help you do your job. Crafting is a huge legitimate business! Sites like Etsy and others have allowed people to capitalize on their creativity and not only make extra money but launch a profitable business. It's super easy to set up an Etsy shop and start selling your creations for cheap. You don't need a ton of inventory to get started but you do need to take good pictures, write a full description, and provide quality customer service. Have you ever thought of starting a work from home business?